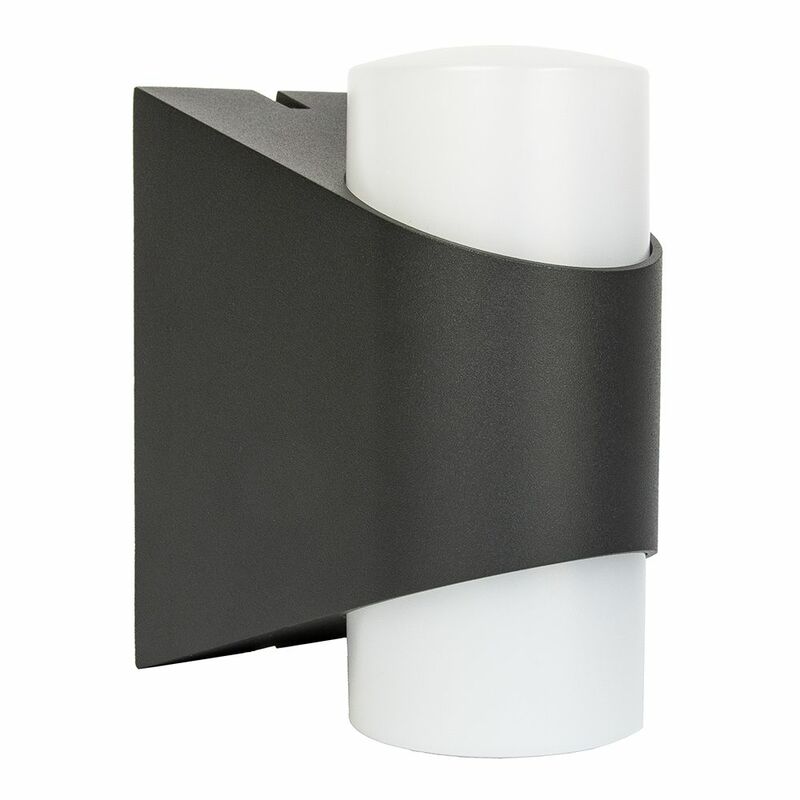 Modern and stylish IP44 outdoor LED wall light fitting with dark grey black die-cast aluminium body. 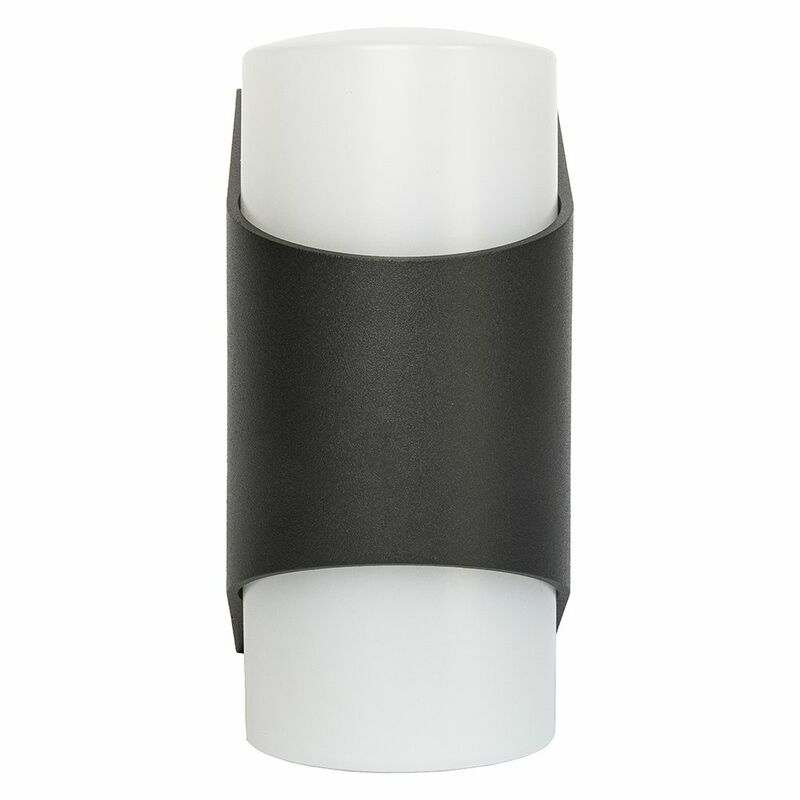 Features two opal white polycarbonate diffusers. 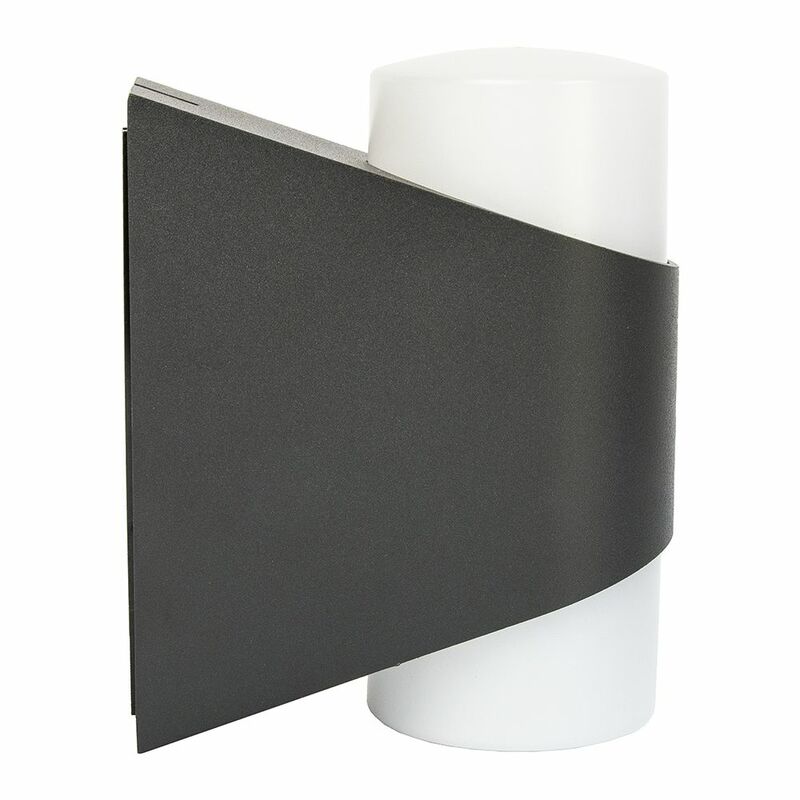 This fitting can be fixed vertically or horizontally as pictured. Product measurements: Height: 17cm, Width: 8cm, Projection: 13cm. 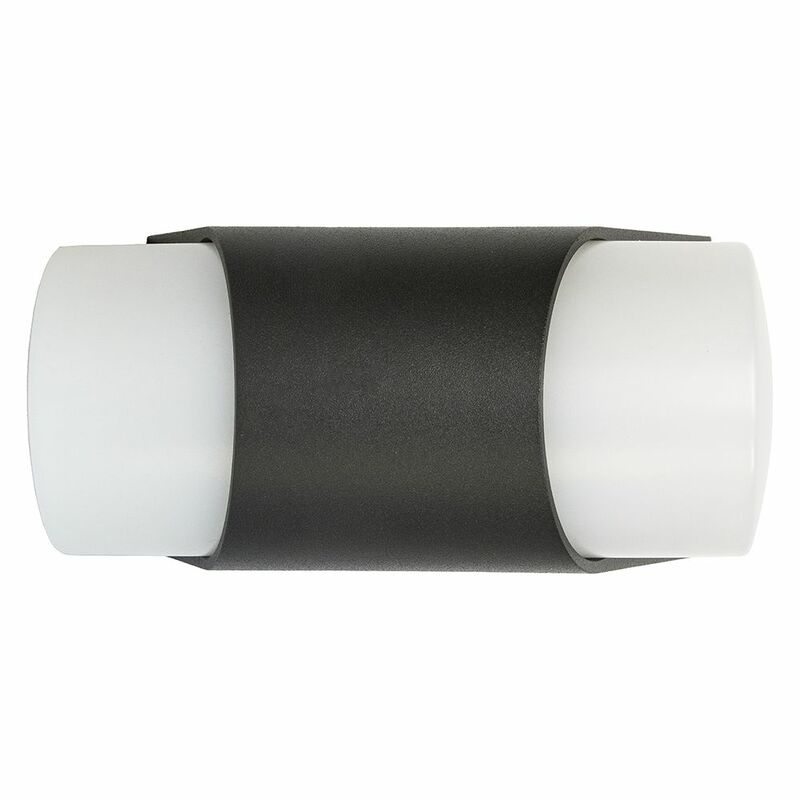 Includes 2 x 11watt (840 total lumens) LED complete with 1 year guarantee.